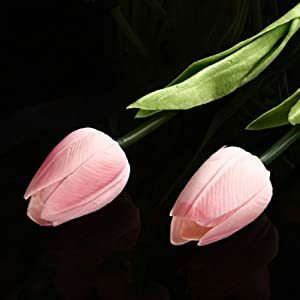 These are the best on the market.made from latex,not plastic not silk,it ¡s nature real touch flower. 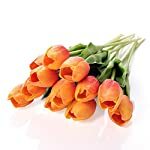 Real Touch flower, Refined home made Tulip Flowers Latex flowers ! 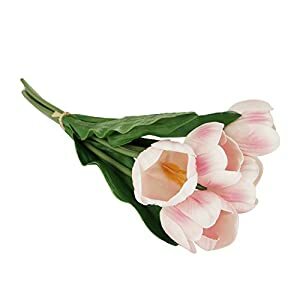 Every flower comes with a green paper leaf connected on a wire stem. 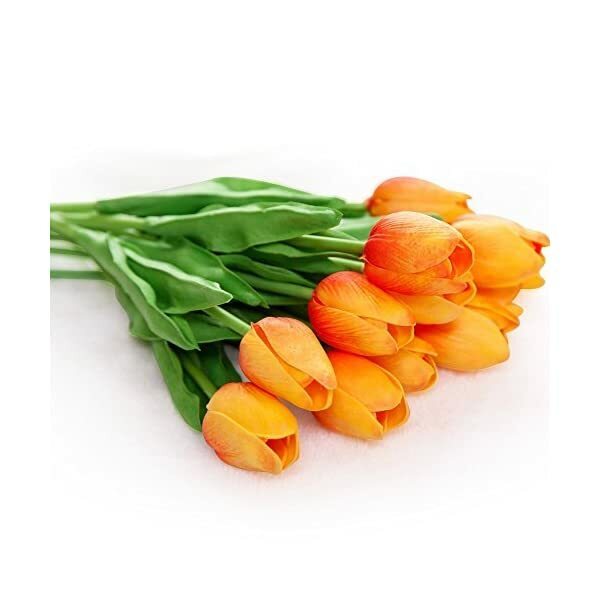 The stems are wrapped with green tissue paper and bundled up in bunches. 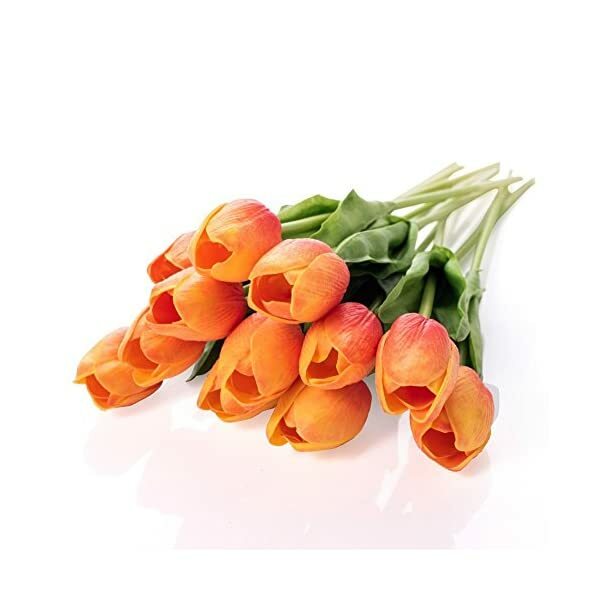 the stem is fabricated from steel wires covered with floral tape, which makes it simple to bend or form to the best way you like. 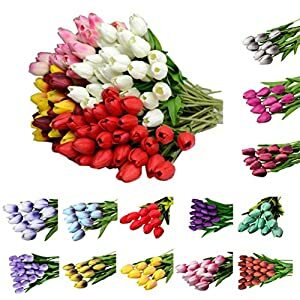 Every bundle stems can also be for my part separated. 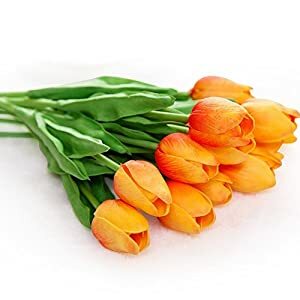 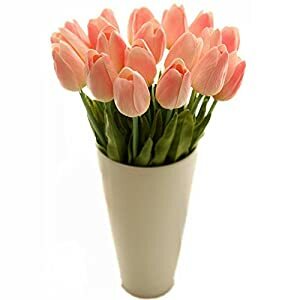 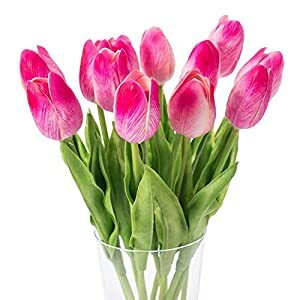 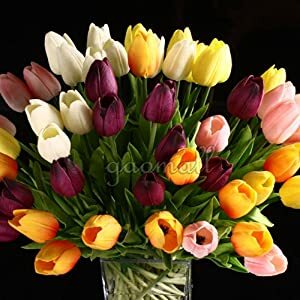 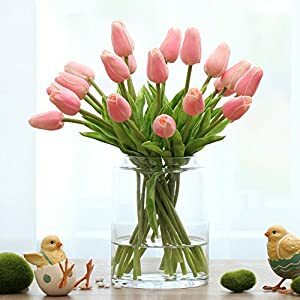 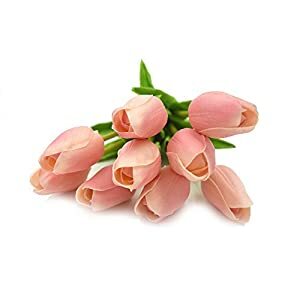 These flowers come boxed because the heads could also be tight so leave them in a vase and they’ll naturally open, or use a hot hair dryer and the air will open them naturally. 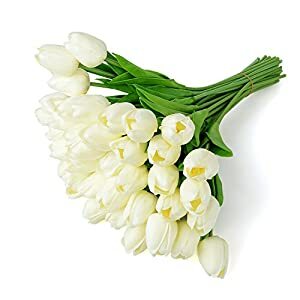 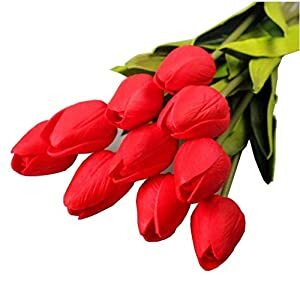 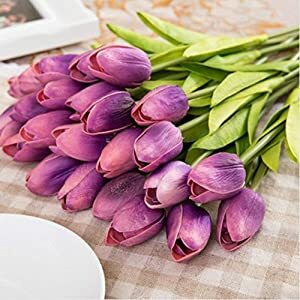 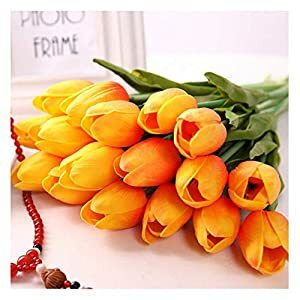 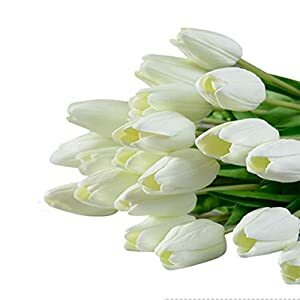 The flowers is best than which you see from the image, the actual color of the thing could also be somewhat other from the images shown on website online because of many factors such as brightness of your monitor and lightweight brightness.